Home Judgments / Reports / Orders Stop overcharging patients: Chief Justice Pakistan. LAHORE: Chief Justice of Pakistan Mian Saqib Nisar on Saturday lambasted private hospitals functioning in the provincial metropolis for fleecing patients in the name of medical facilities and hinted at ordering forensic audit of their accounts. The chief justice had taken a suo motu notice of exorbitant rates of private hospitals and summoned their owners/shareholders. Notices were issued to the Doctors Hospital, Surgimed Hospital, Omar Hospital, Hameed Latif Hospital, Midcity Hospital, National Hospital (Defence), Farooq Hospital and Al-Raazi Hospital. However, representatives of only three of the hospitals – Surgimed, Al-Raazi and Hameed Latif — appeared in the court. Punjab Health Secretary retired Capt Saqib Zafar and Punjab Healthcare Commission’s Chief Operating Officer Dr Ajmal Khan were also present in the court. The chief justice observed that the court wanted to know about the steps taken by the commission to regulate pricing of the private hospitals. Dr Khan admitted that unfortunately the commission failed to fulfill its mandate of regulating and controlling prices of healthcare services. However, he said, scrutiny of price lists of at least the Lahore-based major private hospitals could be done within six weeks. The chief justice observed that some of the private hospitals raised illegal structures and occupied public roads using these as parking lots. He said the Surgimed Hospital used a major portion of the Zafar Ali Road for its parking. A lawyer pointed out that the Surgimed and the Akram Medical Complex were situated in front of the drain along Zafar Ali Road and Jail Road, respectively. At this, the chief justice directed the Environment Protection Agency (EPA) to submit a report, explaining as to how permission was granted to build hospitals on the banks of drains. CJP Nisar also directed the Lahore Development Authority’s director general to visit Hameed Latif Hospital on Ferozepur Road and examine if there was any illegal construction. He said the private hospitals would be slapped with Rs10,000 fine to be deposited in the dams fund for each vehicle found parked outside their parking areas. The chief justice adjourned hearing till Sunday (today) and summoned the owners of the private hospitals along with their price lists. PUBLIC COMPANIES: The Supreme Court directed the National Accountability Bureau (NAB) to review its list of the officers of public sector companies and authorities in Punjab, drawing salaries over Rs300,000 per month. Earlier, NAB-Lahore Director General Shahzad Saleem told a two-judge bench that a bank account had opened in Islamabad for facilitation of those government officers who volunteered to return the amounts they received beyond their regular salaries. However, he said 18 such officers wanted to contest their cases. Representing the heads of different companies, Advocate Ahsan Bhoon pointed out that the NAB also mentioned the officers in its list who had been getting salaries over Rs300,000 per month as per their basic pay scale. He said the NAB prepared a faulty list about the salaries of the officers. The Punjab Revenue Authority’s former head Dr Raheel Siddiqui told the court that the NAB also issued him a notice for recovery of the salary beyond Rs300,000. Whereas, he said, he was getting salary as per entitlement being a BS-21 officer. 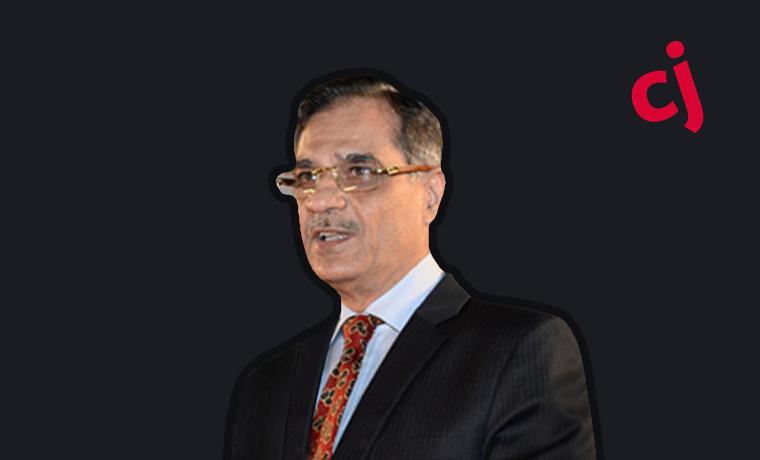 At this, Chief Justice Mian Saqib Nisar directed the NAB to prepare its list afresh and exclude the officers who had been drawing salaries beyond Rs300,000 as per their entitlement. -Dawn.